It’s Monday, and the people over at G.O.O.D. have revealed the fourth single from the upcoming record. Talib Kweli and Big Sean both dropped free mixtapes, both of which, I advise you download in full (to the right, to the right). Rihanna enlists the unorthodox A$AP Rocky for her latest single, and TDE’s Black Hippy is on the grind as per usual. Also included, new material from Miguel, Band of Horses, Teen Daze, Disclosure, Colin Munroe and more. This serves as the fourth single from the upcoming G.O.O.D. Music collaborative album Cruel Summer, dropping September 18 (hopefully). 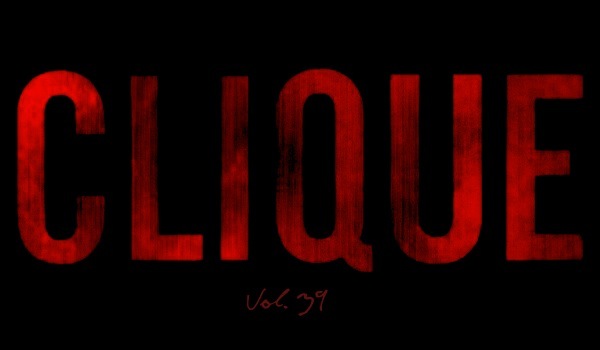 “Clique” has been in heavy rotation, with aggressive verses from all three emcees, and a beat from Hit-Boy that pierces your ears drums, it’s hard to put the track down. Here are four tracks off Detroit, if you haven’t already, definitely give the tape a download. This joint has a pretty standard laid back beat from Key Wane, featuring a verse from Roc Nation’s Cole. Don Cannon doing his thing on the instrumental, with two incredibly intelligent emcees on the features. Finally Famous Over Everything…a motto Big Sean has stuck by since the beginning. Lex Luger doing something a little different with his skill-set. I posted this song a couple months back, but it leaked unintentionally, so the quality was weak and it was tagged up. But here we are and BS through it on the tape. Produced by Key Wane. The UK synth-pop sibling duo have released another highly addictive track, with gorgeous vocals from Sam Smith. Here are three tracks off Attack The Block, again, a tape worthy of occupying a spot in your library. Produced by Boi-1da. Black Hippy’s Ab-Soul hops on this one with Black Thought, produced by J Rhodes. Another Black Hippy feature and produced by Charlemagne. Speaking of highly addictive, the already infectious Goulding track gets a nice (but not needed) face-lift from Vancouver-based DJ/Producer Blood Diamonds. Miguel Pimentel is always working hard at promoting the upcoming sophomore LP Kaleidoscope Dream dropping October 2nd. The self-titled track found a home on yet another teaser EP, The Air Preview. Produced by Salaam Remi (who cooked up the beat for “All I Want Is You”). Rihanna added Chris Brown to “Birthday Cake,” and now A$AP Rocky to this Bangladesh produced track. A$AP made an appearance during her performance at the VMAs, and tried to sneak a kiss in. Black Hippy fans must be going crazy this last week (I definitely am). Three weeks ago, they had their fan appreciation week, and now, they’ve found themselves on multiple features. This is off Munroe’s Unsung Hero project. This serves as the second single from the upcoming LP Mirage Rock, which hits shelves next Tuesday. The Inner Mansions is the second full-length from Teen Daze, coming out November 6, this is the first taste of it. Thanks Jakey, I appreciate it.